When Apple’s engineers were working to make 3D Touch a reality for the iPhone 6s and iPhone 6s Plus, we somehow doubt that many of them were anticipating that anyone would want to use it as some sort of weighing scale, but alas, that’s exactly what some people want to do, and it’s probably a testament to Apple’s 3D Touch technology that it’s even possible at all. 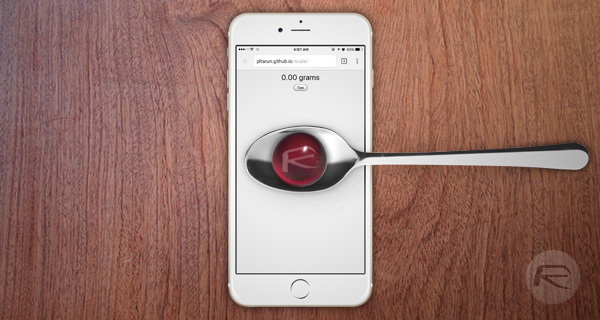 As it turns out, the 3D Touch technology in an iPhone 6s or iPhone 6s Plus is capable of surprisingly accurate measurements, which means weighing some things on their screens is something that can yield much better results than you may have initially expected. In fact, here’s just how you can go about using the 3D Touch technology built into Apple’s latest smartphones to weigh things. It’s actually very easy, indeed. Step 1: Using an iPhone 6s or iPhone 6s Plus, head on over to: pltarun.github.io/scale. Step 2: Placing your iPhone on a solid, flat surface, you will want to put something conductive on the iPhone’s screen to act as a container for whatever you’re going to measure the weight of. 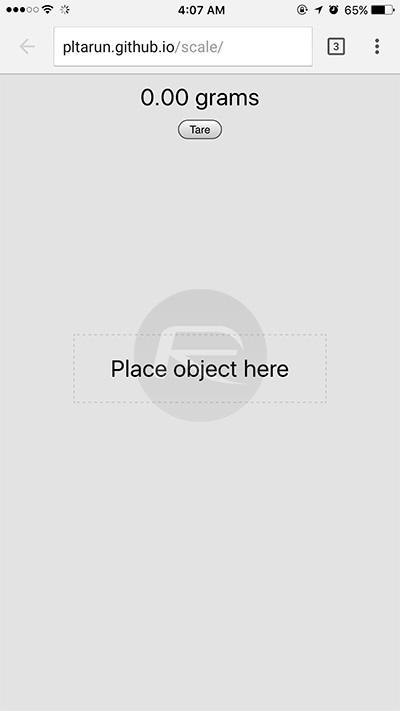 Place that container – a metal spoon will work well – on the iPhone’s screen where it says “Place object here” and tap the Tare button. Step 3: Put whatever you’re trying to weight into the container. Step 4: Sit back and stare in wonder as your iPhone displays the weight of whatever is on its screen, minus the weight of the container you’re using. Note: Be sure to keep the container steady while placing objects in it, since moving it around too much might in the tare resetting and its weight being added to that of the object, giving wildly inaccurate readings. Step 5 (optional): If you are seeing erratic readings, head into the Settings app and change the 3D Touch sensitivity to the Medium setting. You’ll find that under General > Accessibility > 3D Touch. And there you have it, you now know how to weigh things using nothing but your expensive iPhone. Good stuff. If you do, don’t go complaining that your screen doesn’t work properly. Crook the fagget wants you to easily break your screen by adding 5D touch – nothing is wrong with that, it’s by design. That goes for you as well pat. That is, if you can pay off your iPhone 4.